Set in the same world (Arzium) as Above and Below, many of the characters from Near and Far can be used to expand A&B. When talking about this game, we cannot just exclude Above and Below entirely. Above and Below was the stepping stone for this game for Ryan Laukat, the game designer as well as illustrator. He has unique visual style and universe creation on these games. Above and Below stay focus on the story telling aspect of the game, where players take turns to go out into some adventures and gain something from it. The adventure is wrapped into a nice short story that players encounter and will determine the outcome by player’s decision out of the story, though in the end final decision lies on the dice rolls. Near and Far still carry on with the same essence as Above and Below but He takes it deeper, with more contents, more game play and more complexity. You will surely feel the game to be more gamey than Above and Below. Stories are still important but He upped the scale for the game play. Now He provides medium for exploration with map booklet where players can actually move around the board when they go outside. Now there are many things going on inside and outside, there are several places you can visit inside the town to get stuff, work on the mines, recruit adventurers and so on. Meanwhile, when you go outside, you can move around to fight threats, gain treasures, set trading routes and face encounters and so on. The game has several different aspects that will determine you decisions as the game progress, whether what you want to get and how you want to get it. The worker placement thing is more similar to The Ancient World where players can visit a location and block that location from other players, but not entirely since visiting player can visit that occupied location and do a duel beforehand. It also uses the set collection element from The Ancient World, where players buy artifacts by spending some resources and so on. There are many game modes offered by the game, you can play one time session with one of the 11 maps, or you can play a full campaign / character modes clearing 10 maps. Campaign / Character modes provide interesting character progression along the whole session, but unlike other progression character games, this game has very little stats progression aside from the story. Each session will reset the game and characters aside from talent (that player can buy) and keywords that they get. Also there’s an Arcade more where you can take out the story element and get down to the summary for faster game length. I find the game to be more complex, interesting and appealing for gamers than Above and Below which is more suitable for children. The game is heavy, its box is fully packed with good quality components, and the adventurers are double sided, which the back side can be used for Above and Below. My grime with the game is the fact that the campaign progression is very light or you can say thin. This game is amazing! Kudos to the designer, to the artist, and to all involved. I played the initial map with my friends, and we liked it fine, but it didn’t shine. I played the initial map with my kids (5 and 8) and they loved it. They loved it so much, they wanted to play the campaign, and so we have. We’re onto the 11th map out of 12 now, and their interest has been kept beautifully. It’s elegant, and lovely, and everything great! Thank you! 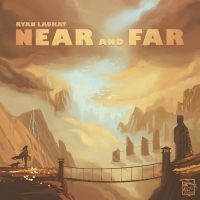 Add a Review for "Near and Far"